Noel Gallagher was born on May 29, 1967 and is famed for being the former principal songwriter for the British band Oasis. 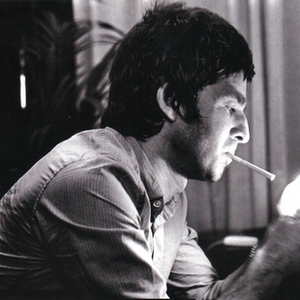 Noel is the older brother of Liam Gallagher, the former lead singer in Oasis. 'The Dreams We Have As Children' is a collection of songs recorded by Noel at the London Royal Albert Hall on March 27, 2007, along with fellow Oasis member Gem Archer. The album's title stems from a lyric in the Oasis song, "Fade Away". The album also features Paul Weller on "All You Need Is Love" and "The Butterfly Collector". 'The Dreams We Have As Children' is a collection of songs recorded by Noel at the London Royal Albert Hall on March 27, 2007, along with fellow Oasis member Gem Archer. The album's title stems from a lyric in the Oasis song, "Fade Away". The album also features Paul Weller on "All You Need Is Love" and "The Butterfly Collector". Five of the songs were released over the course of 5 days as free downloads on iTunes, followed by a physical CD give-away with The Sunday Times, which contained an additional 11 recordings from the performance. The album then went on sale digitally in its entirety the following day. The album was compiled and released in order to raise the profile of Teenage Cancer Trust gigs being held at the Royal Albert Hall in March 2009. After a high-profile bust-up with his brother, Liam, in Oasis. Noel quit the band to pursue solo interests. As of late-2009 he was optimistic of having an album out by the end of the next year. Also like his brother is now following a career in fashion and has also formed a new band, Beady Eye, with their debut album released on the 28th of February 2011. For months, Noel remained silent on his plans for his post-Oasis. Finally, on the 6th of July 2011, Noel held a press conference to reveal plans for two new solo releases, with his new band Noel Gallagher's High Flying Birds. Recorded in 2010 and 2011 and co-produced by David Sardy, album 'Noel Gallagher's High Flying Birds' is set to drop on October 19th.